Some times I just like to have a old fashioned book in my hands! I do believe You Version to be one of the greatest gifts that the Body of Christ has received in the recent past. His word is “a lamp unto our feet and light unto our path” to have it readily available on all our mobile devices is an inestimable blessing. However I have to be honest there are occasions when I still love to turn pages and my daily devotional is one of those times. 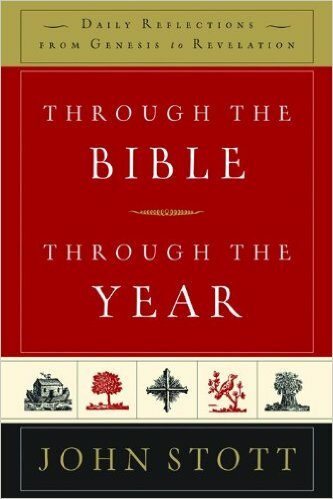 Recently I have been using a devotional book entitled “Through the Bible, Through the Year.” This volume is a selection of writings from the late John Stott. In this devotional volume,“Through the Bible, Through the Year.” you have the chance to feed on this supreme wisdom day after day. In a single page and few verses each day he unfolds the big story of scripture in a wonderful way and the portion set for each day is brief enough to make it easy to catch up if you get behind. One reason for sharing this now is that he follows a calendar that begins in Genesis next week. The book is laid out in such a way that you can begin at anytime, but to start at the beginning has a certain logic to it! So if you are looking for a real book with pages to turn during a daily devotion, this one will not disappoint I guarantee it! Over recent years Good Friday has become an increasingly important day for me. Last year I wrote a piece that explained my feelings that an Easter Sunday celebration was significantly muted if one does not take time to absorb the full significance of Good Friday. Each year part of my Good Friday has been a service with two other churches in Pacifica. This year as I prepared for that event, particularly focussed on those last word of Jesus “ It is finished” I was impressed by a perspective I had not really seen before. And then there were his friends and family. They had struggled and stumbled along beside him, asking questions, and at least reserving judgment as far as they could. Step by step however they had moved towards the belief that he was at the least a remarkable prophet and at best the Messiah of their hopes and dreams. Imminent, they had begun to believe, was that moment when he would declare the end of Roman tyranny and the Jewish nation would be free again. For them the sight of that body slumped lifeless on a cross meant that all they and dared to hope was finished. Disappointment, confusion, anger, and humiliation it was all there. How could they have let themselves give room to that hope? And lastly a tired, surly group of Roman soldiers reaching the end of another tedious day trying to keep the peace. How quickly could they get these people cleared and get home? Not far away, to add to the chaos, there in the temple the priests on duty must have stared open mouthed at the shreds of a curtain lying, along with all that held it up, on the floor. This had separated them from that most holy of places, which was now exposed for all to see. Should they look or turn away? How easy it is with 20/20 hindsight to hurry to the joy of Easter morning, to the significance of a torn curtain that allows us all to “ approach the throne of grace with confidence” To rejoice that the body slumped on the cross is no longer there and to cry in triumph He is Risen. However to do so would surely be to miss the pain and confusion of those close to Him. To miss also the agony of those three days when Jesus was separated from His Father and carried not just a few sins but those of the whole world. Imagine for one second accepting the full responsibility for just one of the horrendous events described on today’s news and then realize He took it all! For many, both those who are academically inclined and those who are not, the clear understanding of the reasons for “doing theology” are difficult to articulate. In the opening section of this book the author does a masterful job of engaging these difficult and complex issues without either dumbing them down or rendering them outside the scope of a regular reader. 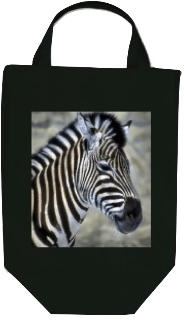 He helps his readers in understanding the concept of Prolegomena by explaining “it ordinarily addresses questions like “Is there a God to be known? and How do we know God?” and then tells us “it is a bit like a shopping mall sign that says, you are here”. 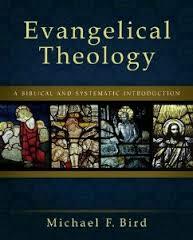 He further makes the case for a specific “Evangelical Theology” holding the gospel as its central it is “ the rule of faith for evangelicals” . A clear definition of the gospel follows along with defense of the necessity of systematic theology despite his admission that it is a fallible attempt to systematize the central tenets of the Christian faith. The section on the sources of theology is a robust defense of his contention that tradition, nature ,experience and even culture can and should be allowed to inform our study of theology while retaining the centrality of Scripture. I certainly look forward to exploring this volume further an expect it to yield a great deal of stimulating thinking.